The Le Mans is one of the most grueling, dangerous, and thrilling courses in motorsports, all sentiments Amazon wants to convey with its series Le Mans: Racing is Everything — which will undoubtedly show all the crashes and glory of the epic 24-hour race. 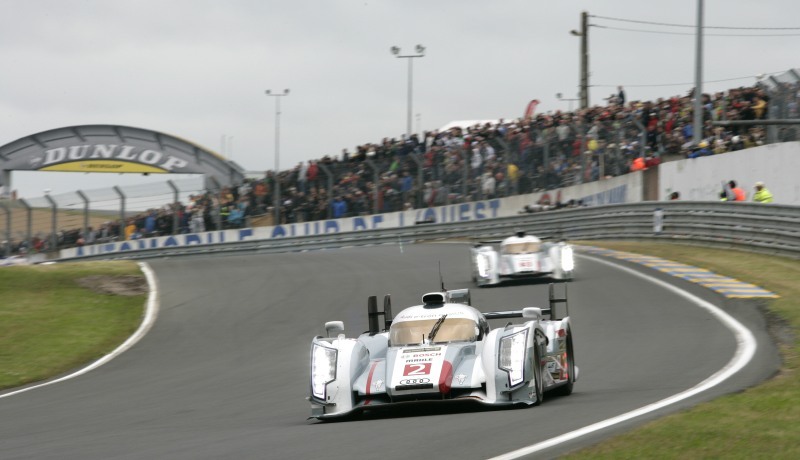 The Amazon series about the Le Mans — named for the town two-and-a-half hours southwest of Paris — will begin on June 9, just before the 85th edition takes place on June 17 and 18. The series promises to show the history of the race, feature interviews with past drivers and, of course, a lot of crashes. The series will show manufacturers such as Porsche and Audi gear up for the race and follow five drivers who are competing. The drivers are: Australian Formula 1 legend Mark Webber; German three-time Le Mans champion André Lotterer; Nico Prost, son of legendary Formula 1 driver Alain Prost; and English teenage gamer Jann Mardenborough, who at 19 won an e-Sports racing competition and was given a slot on Team Nissan. The Le Mans was established in 1923 in Le Mans, France, where the orignal 8.5-mile track has been modified many times over the years. It used to cut straight through town and neighborhoods, but because suburbs sprawled out from Le Mans, the track had to be rerouted to reduce the threat to spectators. The sport is incredibly dangerous and is often called the “Mount Everest of motorsports.” There has been a total of 22 driver fatalities spanning almost every decade since the race began, the most fatal of which was in 1955 when the Mercedes of Pierre Levegh collided with the Austin-Healey of Lance Macklin. Levegh slid off into the embankment, somersaulted through the air and landed in the crowd, killing Levegh and 83 spectators directly and leading to the injuries of dozens more due to flying debris. The 24-hour race runs day and night, often held in sweltering or rainy conditions. The track can only be lapsed with absolute perfection, so drivers must stay completely alert, only to stop for fueling or maintenance. There are three drivers to a car and drivers typically interchange every two hours. There are 60 cars total in the Le Mans and Porsche holds the highest number of wins at 18. The legendary Tom Kristensen holds the most wins in Le Mans history with six consecutive wins and nine wins total. The race is considered the third leg of the Triple Crown of Motorsports, with the other two races being the Indianapolis 500 and the Monaco Grand Prix. The only driver to this day to win the crown is Graham Hill, who completed the crown with his Le Mans win in 1972 (he won Indianapolis in 1966 and the Monaco on five separate occasions). The Le Mans is unlike any other race and only the best of the best can complete it. This year’s race will be no exception and, as over 200,000 spectators are expected at this race, let’s hope it runs smoothly.